WADEM Nursing Members may nominate themselves or another WADEM Nursing Member for the position. However, all nominees must be nurses, who have been WADEM member for at least two (2) years and prior to 7 May 2019. Members may serve for up to three consecutive terms. Each nomination should be accompanied by a brief personal summary and the nominee’s statement of willingness to serve in the position for the two-year period beginning at the WADEM Congress 2019 in Brisbane, Australia. Please send your expression of interest including a brief biographical statement of your disaster and emergency nursing experience and describe your aspirations related to the position you are interested in. Please send the documents by email to – wmckenzie@tru.ca – and – obenin-goren@wadem.org. All nominations must be received by no later than 1 May 2019. As a volunteer-run organization, WADEM depends on the efforts and talents of its members to fulfill its mission of the evidence-based improvement, education, and advocacy of emergency and disaster health care and disaster risk reduction. Mission: The proposed mission of the Nursing SIG of WADEM is to foster collaboration among nurses involved in research, education, management, and practice in prehospital, emergency, public health, and/or disaster health care. Vision: The Nursing SIG strives to be the organizational vehicle welcoming and representing nurses from all countries with an intent and desire to strengthen and improve the practice and knowledge of disaster nursing. Inform and advise WADEM of matters related to disaster nursing. Dr. Wendy McKenzie is an educator at the School of Nursing at Thompson Rivers University (TRU) in Kamloops, British Columbia, Canada. Wendy has extensive experience as an educator as well as a critical care nurse both in the military and in civilian hospitals. Her expertise is situated in critical care, neuroscience, global health, and simulation. 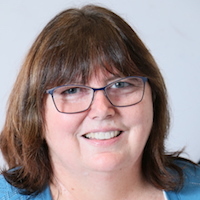 Wendy is currently the Coordinator of the Nursing Resource and Simulation Center at TRU where she is passionate about providing Interprofessional opportunities for creative teaching and learning for both students and educators. Her current research is focused on developing effective teaching strategies to ensure student competency in the disaster nursing role. As an RN, Odeda has broad experience as a clinical nurse in the fields of internal medicine, public health, and emergency medicine. As CEN, Odeda specializes in all types of emergency situations, including Mass Casualty Incidents (MCIs). Odeda was among the pioneers that established the national Emergency Nursing Course for nurses to become CEN. Odeda is a WHO consultant for Emergency Preparedness and a UNDAC member under the UN-OCHA. Odeda serves as a consultant for the department of international cooperation (MASHAV) at the Israeli MFA, in the areas of emergency medicine/nursing, trauma, intensive care, disaster preparedness, and risk assessment. Odeda works with government ministries and agencies worldwide. Odeda is also the Academic Coordinator of the Emergency Management Course, at PREPARED: The Emergency Response Center at Ben-Gurion University in Israel. Odeda is a member of the WADEM Board of Directors and the Chair-Elect of the Nursing SIG. Dr. Sue Anne Bell is a nurse scientist at the University of Michigan, with expertise in emergency preparedness and response, community health, and emergency care. 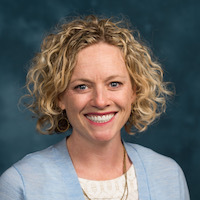 Her work focuses on addressing the long-term health effects of disasters on vulnerable populations, in developing policy that protects and promotes health in disasters, and in the relationship between community resilience, health disparities and disasters. She currently serves on the U.S. Federal Emergency Management Agency’s National Advisory Council and recently completed a term on the Emergency Nurses Association’s Emergency Preparedness Committee. She is clinically active in disaster response as a nurse practitioner with the US National Disaster Medical System and most recently served in the Hurricane Irma response in Florida and the Hurricane Maria response in Puerto Rico. Mayumi works as a Lecturer at College of Nursing and Health Sciences, Flinders University in Australia. She has her first nursing qualification from Kobe City College of Nursing in Japan. After she worked at various departments in Nishi Kobe Medical Centre in Kobe city, she moved to Australia to obtain her postgraduate qualifications at Flinders University. 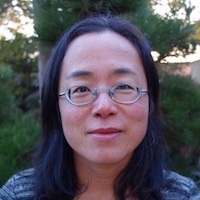 While she is teaching and researching, she revisited her volunteer experience after the 1995 Hanshin Awaji (Kobe) Earthquake, and she developed her research interest in disaster health and nursing. She is especially interested in answering the question of "How can we create a resilient society with an ageing population?" Mayumi worked at WHO Kobe Centre in 2014-15 to support preparing the public forums held at the Third UN World Conference for Disaster Risk Reduction. Her current research has been involved is to investigate the best practice of evacuation center management, as well as health status including psychosocial aspects of older people who are in the transition from temporary housing to permanent housing in a community. Knox Andress, is the Emergency Preparedness and Education Coordinator for the Louisiana Poison Center, Assistant Director with the Department of Emergency Medicine, Louisiana State University Health Sciences Center, in Shreveport, Louisiana. Previously, Mr. Andress served as an ED and ICU registered nurse for the CHRISTUS Schumpert Health System, in Shreveport. 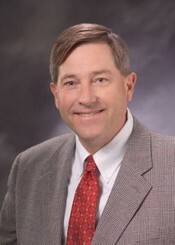 Since 2002, Knox has served as Louisiana Region 7’s, Designated Regional Coordinator for 26 hospitals in Health and Human Services, Assistant Secretary for Preparedness and Response, Hospital Preparedness Program. Focus includes “all hazards” hospital planning and response including incident coordination, mass fatality planning, crisis communications, and mass casualty patient and evacuee tracking.